In early childhood circles, the Perry Preschool and Abecedarian programs stand out as the two most often-cited examples of the positive effects a quality preschool education can have on a child’s broader development. To briefly mention one of these, the Perry Preschool Project provided high-quality daily preschool to poor, at-risk African American children in Michigan in the 1960s. 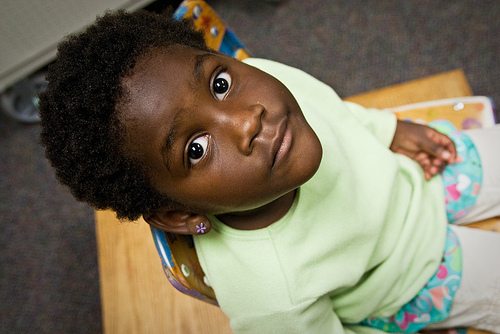 Followed well into adulthood, the preschool students in the special Perry program had on average completed more schooling, had elevated high-school graduation rates, higher incomes, lower rates of criminal activity, and fewer out-of-wedlock births compared to an otherwise identical control group of peers at the same elementary school. Dozens and dozens of rigorous studies have taken place since such seminal research was published on those early pioneer programs. What do they collectively tell us about the value of preschool education? A new research report out this month tries to answer that by synthesizing a half-century’s worth of pre-K research, with an emphasis on the latest findings. The non-partisan report, which includes recent studies of programs in Tulsa, Okla., and Boston, Mass., says the collective research makes clear that high-quality preschool programs give students enduring academic and life skills and offer strong returns on investment. For example, the report points to one recent meta-analysis that looked at 84 high-quality programs and found preschoolers gained on average one-third of a year in learning over other children. The large-scale public programs in Tulsa and Boston did even better, giving kids anywhere from a half-year to full-year of additional gains in reading and math. One of the report’s lead authors, Hirokazu Yoshikawa, a professor of education at NYU who spoke during a forum at the New American Foundation last week, said that while high-quality preschool benefits middle-class students, it has the biggest impact on low-income kids. Research drawn from 2,000 children in Tulsa’s universal preschool program also found that dual-language learners who came from Spanish-speaking homes posted the biggest gains in the program than other children -- they gained nearly a year of learning in pre-reading and pre-math skills, and a half-year on spelling tests, according to Deborah Phillips, a leading early childhood researcher at Georgetown University and one of the report’s authors. It’s an important finding, given that Hispanic children are less likely than other groups to attend preschool nationwide, she said. While offering public preschool programs at scale requires a major investment of dollars, the available research suggests it’s an investment that pays generous dividends. Research on the Tulsa program has found that public preschool there carries a benefit-cost ratio ranging between 3 to 1 and 5 to 1. The Perry program and evidence from Chicago Parent-Child Centers point to benefit-cost ratios in the realm of 7 to 1. That’s a return to society of $7 in the form of economic productivity, skilled labor, reduced crime, and so forth for every $1 spent. Economists such as Timothy Bartik have developed such estimates by taking kindergarten test scores and extrapolating out to a student’s eventual earnings, based on national data. “These programs can promote more and better jobs: You invest in high quality preschool, it develops the skills of your local workforce, if enough of them stick around, and in turn, that higher quality local workforce will be a key driver of creating jobs and creating higher earning per capita in the local community,” Bartik said in a presentation earlier this year. In my next post, I’ll examine what makes a quality pre-school program that garners results.